Are you dressing up your pup for Halloween? Some dogs love putting on costumes and heading out for some trick-or-treating. 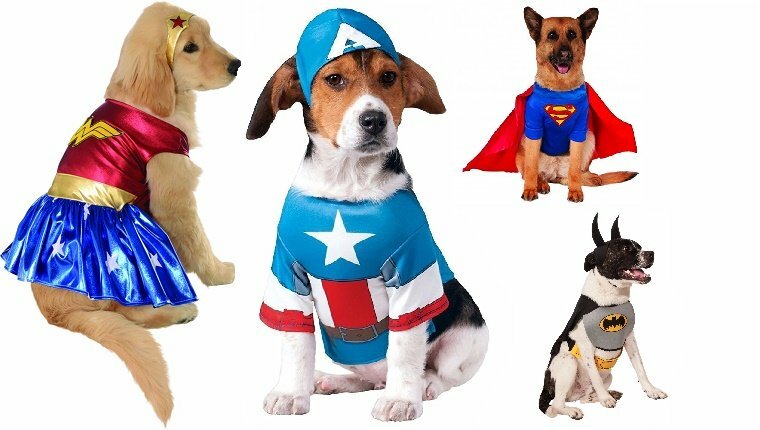 And chances are good you’ll see a few pups dressed in the costumes below. 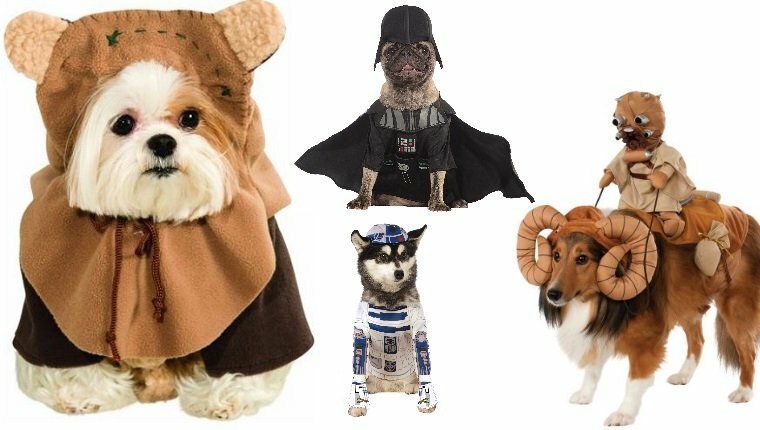 These top trending dog costumes of 2016 are taken right from Amazon’s Best Sellers list, as well as NRF’s 2016 Halloween Consumer Top Costumes Survey. Hopefully they’ll give you some inspiration for your own dog’s Halloween costume! 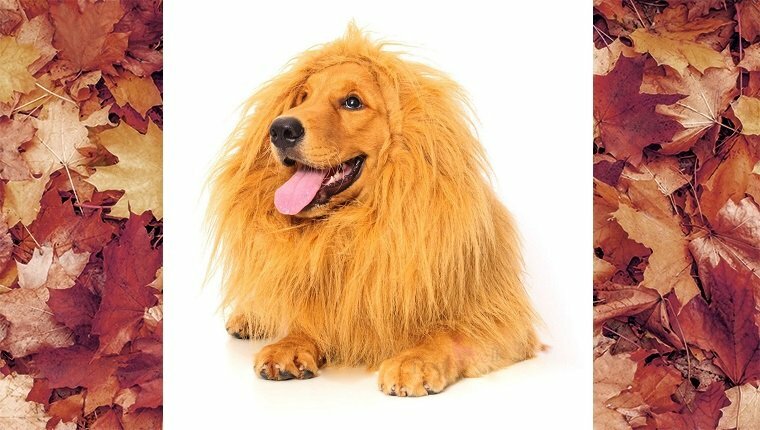 You may have seen a recent heartwarming commercial featuring a dog dressed as a lion, and maybe that’s why lion manes are all the rage this year. It’s a simple costume that won’t restrict your pup too much, and it’ll bring out his inner king of the jungle. Buy it on Amazon now! With a new Star Wars film released last year and another coming later this year, you’re bound to see some pups dressing up like their favorite characters from a galaxy far, far away. Ewoks, Jedi, Driods, Wookies, and Sith are sure to be out in full force this year, but my favorite is the Bantha costume. Buy it on Amazon now! Marvel and DC keep cranking out movies and television shows left and right, so it’s no wonder superheroes are just as popular as ever. Batman, Superman, and Wonder Woman seem to be topping the list, but The Avengers and X-Men are pretty trendy, too. My pup is Batman, all the way. Buy it on Amazon now! One thing’s for sure, pirates never go out of style. 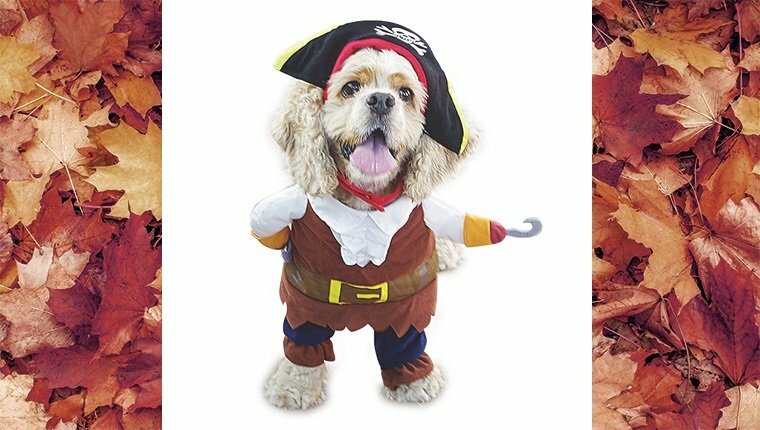 And this costume gives your pup a hook hand, a captain’s hat, and a seaworthy swagger that’ll make him the scourge of the neighborhood. And since it leaves the back legs uncovered, it’ll keep your dog fairly cool. Buy it on Amazon now! Jurassic World may have helped bring back the dinosaur trend, and with a sequel in the works, it doesn’t look like it’s going away any time soon. 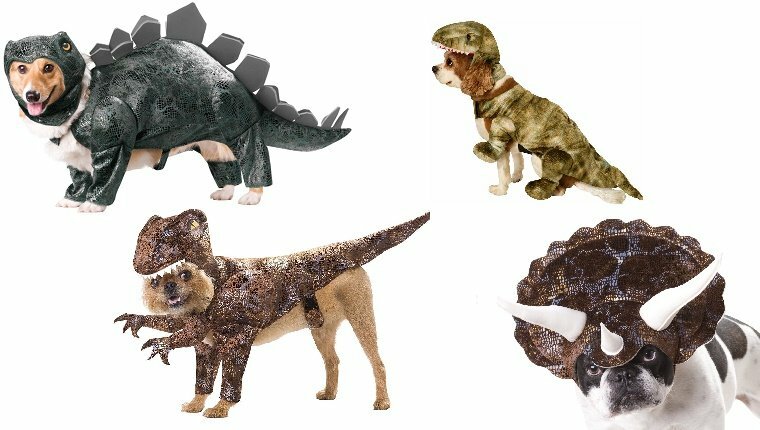 There are all sorts of dinos that your pup could dress up as, like a Triceratop, a Stegosaurus, or my favorite, a Raptor. Buy it on Amazon now! What goes great with a pumpkin spiced latte? How about a cup full of adorable? 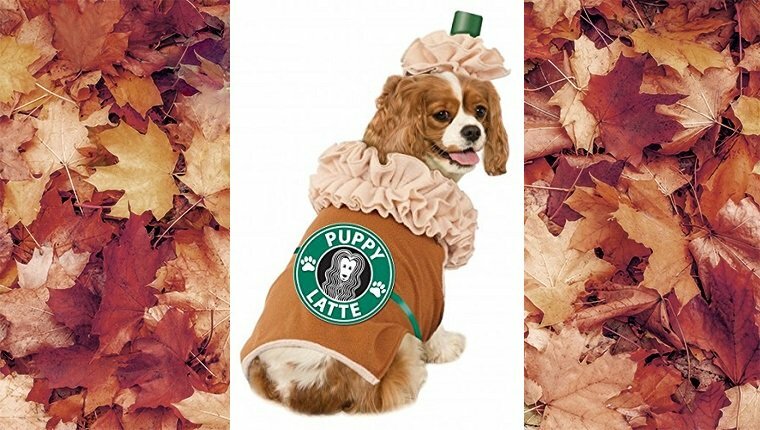 This puppy latte costume is getting to be as popular as the drink that inspired it. And the frilly collar and hat make your dog’s cute face look like a yummy whipped cream topping. Buy it on Amazon now! You probably saw the prank video that inspired people to dress their dogs as giant spiders to terrify unsuspecting bystanders. 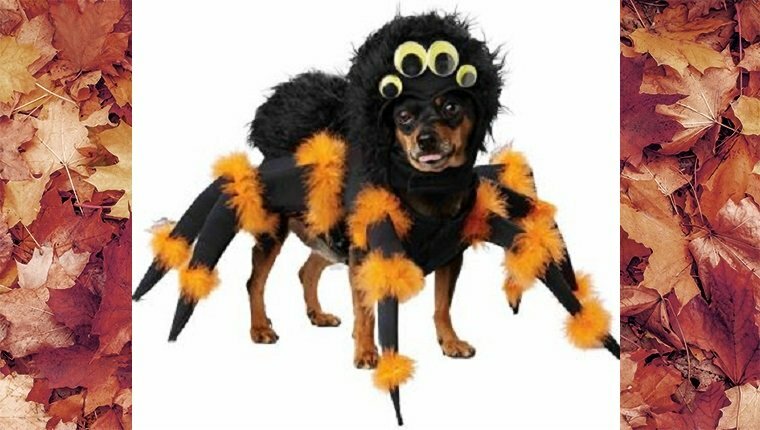 Well the trend is still going strong with eight-legged spider dog costumes this year. So if you see a giant spider heading towards you on Halloween, give him a pet. Buy it on Amazon now! 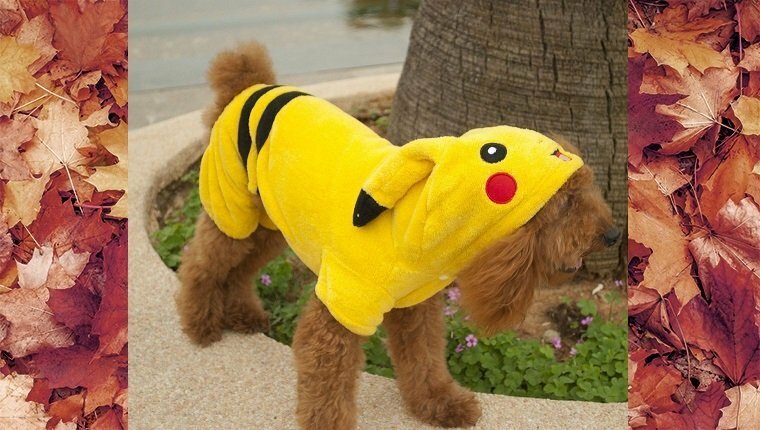 With the popularity of Pokemon GO and a new Pokemon game on the way this year, lots of Pikachu pups will be on the prowl this Halloween. And this holiday is a perfect chance to walk the dog, trick-or-treat, and catch Pokemon all at the same time. Buy it on Amazon now! There’s nothing more classic for Halloween than a pumpkin. 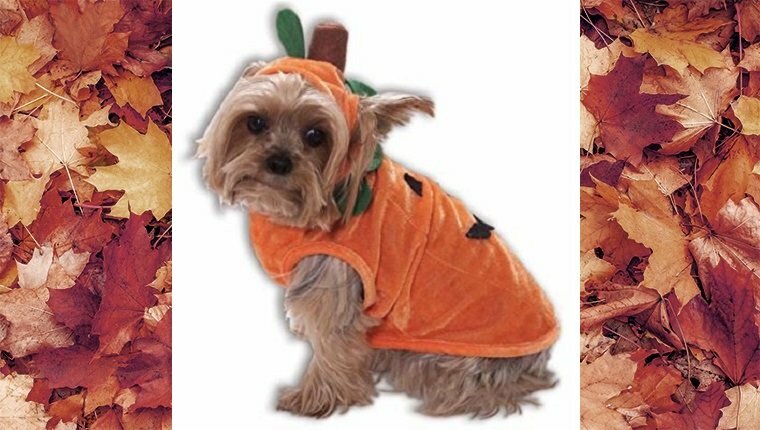 Though perhaps lacking in originality, you can’t help but find a dog in a cute pumpkin costume completely adorable. Your dog will be the first thing you pick from the pumpkin patch this year. Buy it on Amazon now! An old stand-by for Wiener Dogs is the hot dog costume. But your dog need not be a Dachshund to enjoy fitting in with Oscar Meyer’s product line. 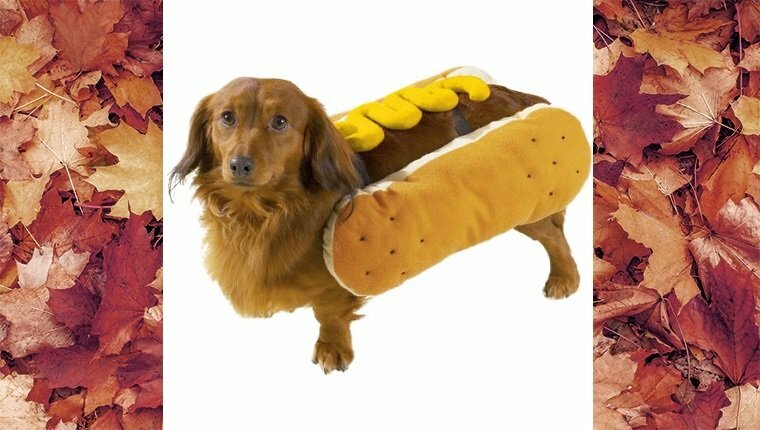 The hot dog costume can be found in all kinds of styles and with all sorts of condiments to compliment your pup’s personality. Buy it on Amazon now! What is your dog dressing up as this Halloween! Let us know in the comments below!